BSE have given the opportunity to develop my skills and increase my knowledge in the design of MEP services. I have also been given the opportunity to follow up works on site and get first-hand experience in the implementation of the services I design. Design MEP services for buildings hand in hand with the draughting team. João has graduated in Mechanical Engineering from the School of Technology and Management of Viseu, IPV, Viseu in Portugal. 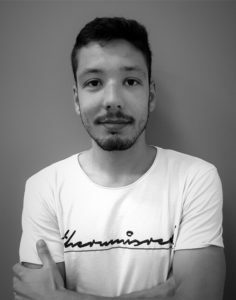 João joined BSE in 2017 on an internship and has secured his post on a permanent basis. He has been involved in the design of a wide range of projects in such a short time period.